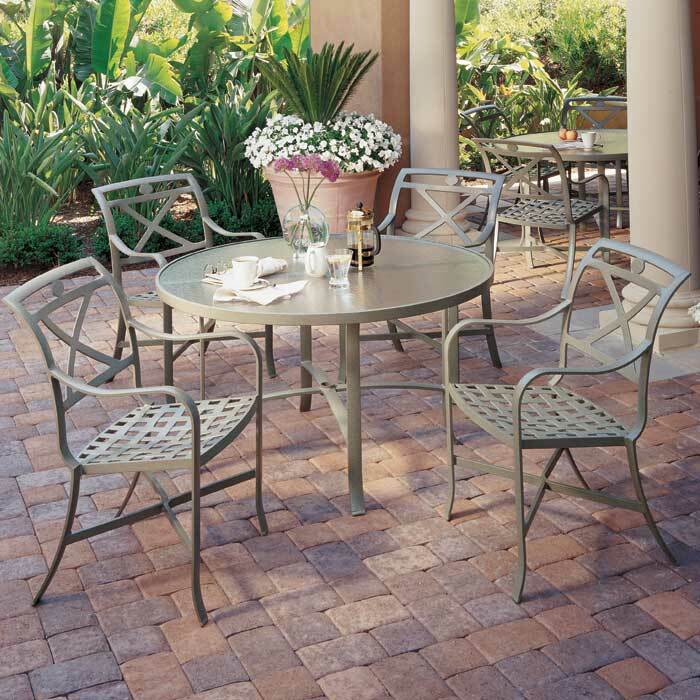 The Palladian Aluminum Outdoor Patio Furniture, designed by John Caldwell, offers traditional outdoor furniture options for use in demanding, high-traffic settings. The Palladian Cafe Collection includes bar stools, chaise lounges and dining chairs featuring an X-Back or Double-C Back. Unite these impressive chairs with a Basta Sole® Umbrella and Tropitone® Table to create an ensemble perfect for any outdoor environment.